Lindy Remigino (981) wins the 100-meter final in Olympic games at Helsinki, Finland on July 21, 1952. Jamaica’s Herb McKenley (295) was second. Remignio’s time was 10.4 seconds. The Connecticut high school track community lost a legend Wednesday when Lindy Remigino, a two-time gold medal winner at the 1952 Helsinki Olympics and a Hartford Public boys track star and longtime coach, died at the age of 87 after a two-year battle with pancreatic cancer. Remigino made his mark in the sport internationally, but he also made an impact and long-lasting impression among high school track coaches, including Gary Moore of Hillhouse and former Amity track coach Thom Jacobs. They all agreed Remigino was a fierce competitor, an exceptional person and gentleman and put Connecticut track on the map. “He’s the benchmark, the gold standard, of coaching in the history of the state, because of the total package that he was. He was a great athlete — obviously, an Olympic gold medalist, you can’t do better than that — he was a legendary coach in all three seasons (cross country and indoor and outdoor track and field), and he was a great ambassador for the sport. He was very humble, and he was a really good mentor to his kids and to the coaches who came after him,” Danbury coach Rob Murray said. Moore was unaware of Remigino’s death. “I am so sorry to hear that, I knew Lindy really well and we talked all the time,” Moore said. “He loved the sport so much. He loved meeting coaches and sharing knowledge with them. I am the coach I am today because of what I learned from him. Sharing things with other coaches to make everyone get better and improve was important to him. Moore and Jacobs both agreed that in addition to Remigino’s success as a runner and winning 31 state championships as a coach, another important milestone was the creation of the Hartford Public Invitational. It developed into a major event in the region, running from 1970-2010 according to the Hartford Courant. Jacobs did not mince words when discussing Remigino. “I loved Lindy,” said Jacobs, who resigned as Amity track coach in 2015 after 29 years in the position. “I was 22 when I started coaching and it was a little intimidating for me when I first met him. He was a great athlete, a legendary coach and an intense competitor. But it didn’t take long for me to realize what an all-around great person he was. Black was a longtime New Britain High track coach. Jacobs said the Hartford Public Invitational was one of Remigino’s many contributions to the sport in Connecticut. “New England gets lost sometimes in the track world because of our cold weather and the fact we can’t compete year round like they can in a place like Texas,” Jacobs said. “But Lindy changed that a bit with the Hartford Public Invitational. It not only drew teams from New England, it drew teams from the entire Eastern seaboard. Xavier boys track coach Chris Stonier recalled some of the legendary stories he heard about Remigino. “I never really got to meet Lindy Remigino, but you always knew a legend was at your meet with all the people that surrounded him,” Stonier said. “I found out about Lindy from stories I heard from (Branford boys track coach) Rich Biondi. Lindy’s legend lives on through stories from coaches who knew him. 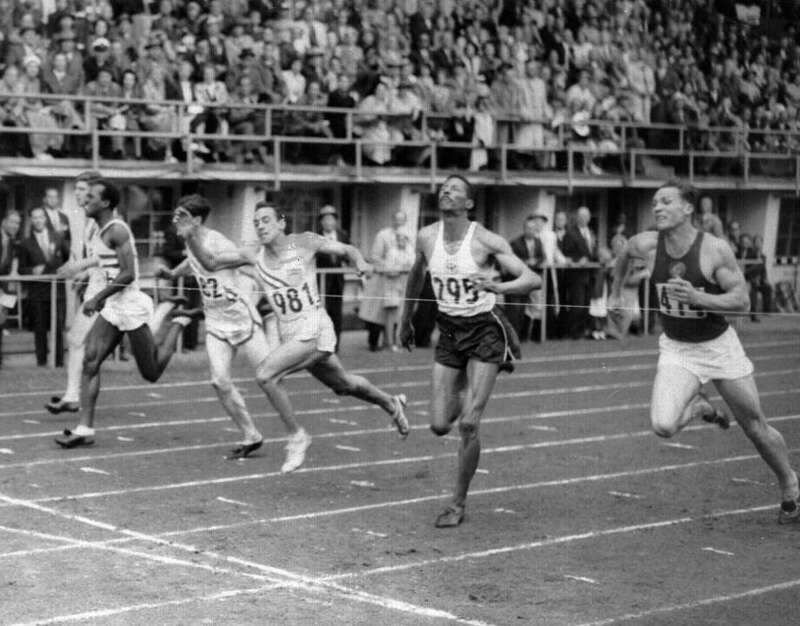 In 1952, Remigino made his mark on the world stage winning the 100-meter dash and running a leg of the winning 4×100 relay at the Helsinki Olympics. He is a member of the USA Track and Field Hall of Fame. Rich Gregory contributed to this report.